Jade is a young girl who lives in a village next to a towering volcano. On its peak lives a Mountain Spirit who makes his presence known by rumbling the earth, filling the sky with smoke, and pouring lava down the mountainside. Angered by those who forget to honor him for providing their harvest, the Mountain Spirit has stopped sending rain to Jade’s village and the people are faced with the possibility of having to abandon their homes and land. As Jade collects water from the near-dry lake, a blue hummingbird—a messenger from the Mountain Spirit—tells Jade she must take a gift to the Mountain Spirit and ask for rain. Guided by the hummingbird, Jade presents her food offering to the Mountain Spirit. 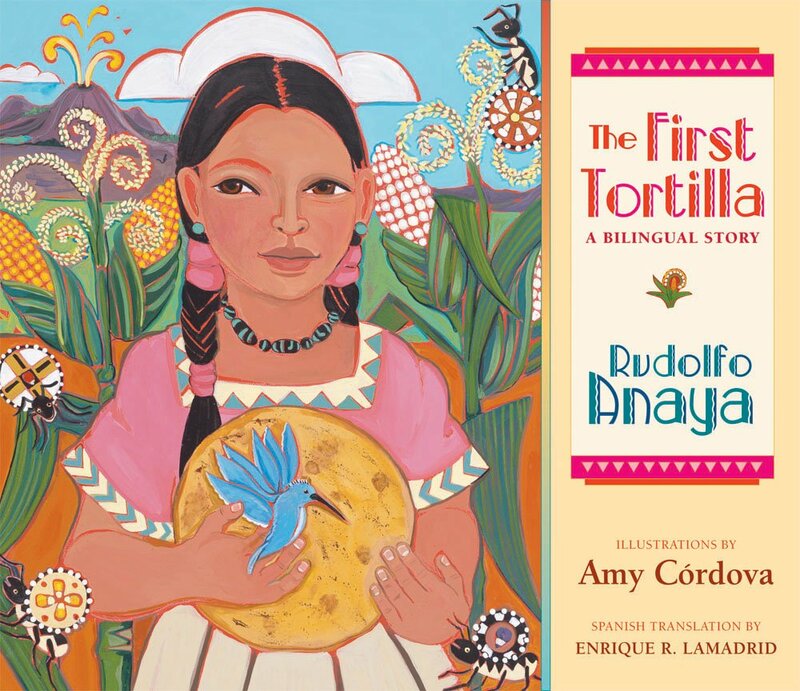 Pleased, the spirit offers the brave girl corn kernels that she takes back to her village and uses to create the first tortilla. Rudolfo Anaya, widely acclaimed as one of the founders of modern Chicano literature, is professor emeritus of English at the University of New Mexico. He is best known for the classic Bless Me, Ultima. Enrique R. Lamadrid is a literary folklorist and cultural historian in the University of New Mexico's Department of Spanish and Portuguese.